Manage your accounts through TigerCard Manager! Add money, view your activity or deactivate a lost or stolen TigerCard. You can even have guests make deposits to your account! TigerCard Manager gives you online access to manage your TigerCard funds. Check recent activity, add funds to your Campus Dining Services meal plan and Tiger Cash declining-balance fund, or deactivate a lost or stolen TigerCard. Log into TigerCard Manager with your Username to review and manage funds, monitor your accounts or deactivate a lost or stolen ID card. Immediately report a lost or stolen ID card through TigerCard Manager. 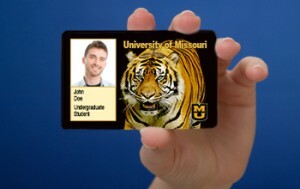 If you find your ID before a new ID is made, go to TigerCard Manager to reactivate your card. Sorry, once a new card has been made, you cannot reactivate an old card.